The Centers for Medicare & Medicaid Services (CMS) created the Five-Star Quality Rating System to more easily assist consumers, their families and caregivers to compare nursing homes. This system makes it more difficult for a facility to earn a four or five-star rating. Like a hotel, nursing homes with five-star ratings have above average quality and homes with 1 star have quality greatly below average. A nursing home rating is rated based on the following three categories: Health Inspections, Staffing, and Quality Measures. Each of these categories have their own five-star rating. This rating is based on information from the last three years of inspections — unannounced, onsite examinations. These assessments are conducted by trained, objective inspectors who follow a detailed process to determine if the home’s quality is in line with Medicaid and Medicare’s requirements. The number and severity of home deficiencies determined from the onsite inspection affect the rating, along with findings from complaint investigations during the most recent 36 months. CMS bases the facility staff rating off of the average number of hours of care provided to each resident each day by nursing staff (registered nurse, licensed practical nurse and nurse aide). This measure is case adjusted for different levels of resident care needed. This measure addresses a range of function and health status indicators for both long-stay and short-stay residents. This measure offers information about how well nursing homes are caring for their residents’ physical and clinical needs. This overall rating is a composite of the three individual star ratings above. The health inspection rating is adjusted up if the facility receives a very high staffing or quality measure rating, and is adjusted down for low staffing and quality measure ratings. This is the star rating that is displayed to the public. CMS hopes to raise the standards for nursing homes to achieve a high rating. Not all nursing homes are of the quality you suspect them to be. If you have put your loved one in a nursing home and suspect abuse or neglect, please contact an experienced attorney at McDivitt Law Firm today. 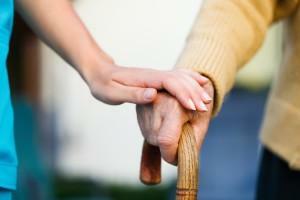 We are here to help hold that nursing home accountable for its neglect or abuse. Learn more about mandatory reporting laws for elder abuse. At medicare.gov you can go to the Nursing Home Compare page to look at nursing home ratings in your location. Read more about the 5-Star Quality Rating System by visiting CMS’s Technical Users’ Guide.